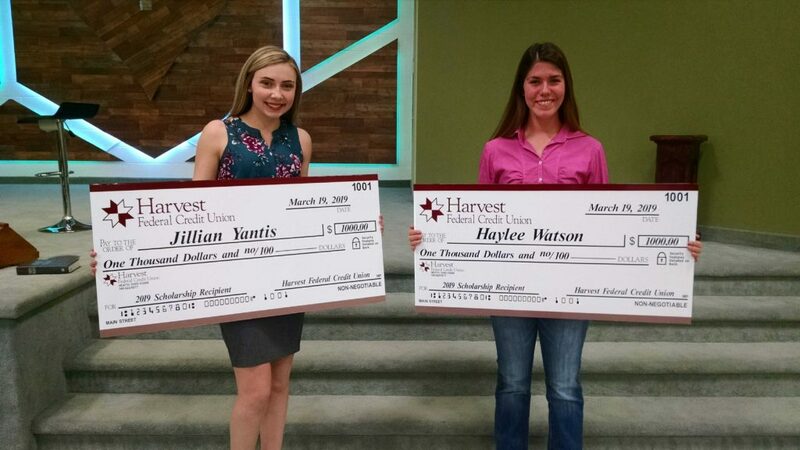 On March 19th, at the Annual Meeting of Members, Harvest FCU awarded two $1000 scholarships. The winners are members Jillian Yantis and Haylee Watson both from Heath High School. Jillian is planning on attending Ohio University and would like to become a teacher and coach. Haylee is planning on getting a degree in Animal Science to later become a veterinarian. We wish them both the best of luck in their future endeavors!